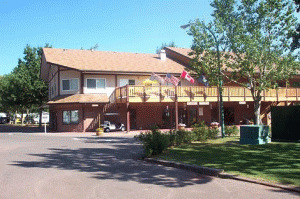 Bridgeview RV Resort is situated in a picturesque river valley on the westerly outskirts of Lethbridge. The Old Man River runs beside the resort, providing a scenic waterway for boaters, anglers and sightseers. Local activities at the park Jam Session with local artist; Farmer's Market and Crafts;Pancake Breakfast every Sunday starting in May. From West: Exit south off Highway 3 at Bridge Drive exit. Follow a short way to turn around and reverse direction at golf course, now proceeding north over Highway 3. Follow signs to park. From East: Exit right (N) after Old Man River Bridge. Follow signs. Maximum RV length: 45 ft. 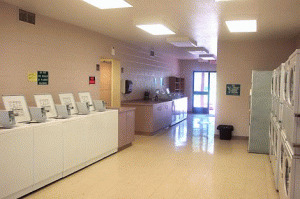 Please visit Bridgeview Campground Website.